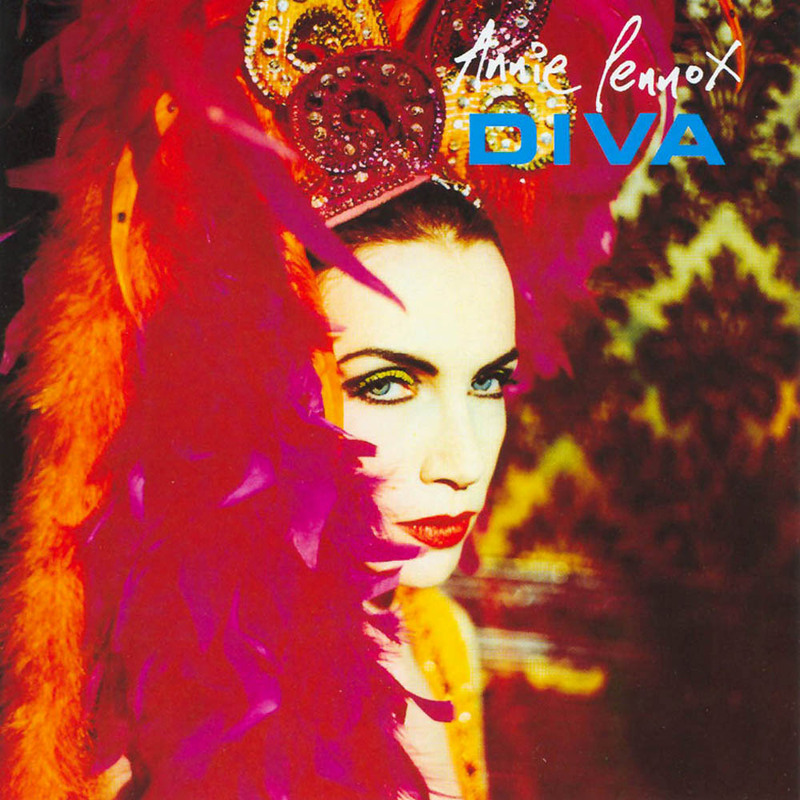 Today’s POP RESCUE from an uncertain fate, is the 1992 solo album Diva by Eurythmics front-woman Annie Lennox. This 11 track debut album opens with the downbeat soft synthscapes and tinkling piano of single Why. A soft brushed beat and gentle percussion sit comfortably beneath Annie’s sad vocals. This song gently grows, throwing in some extra soft beats, but generally keeps itself a little low-key. Up next is the more up-beat Walking On Broken Glass, which has a fantastic little strings and piano section. The beat is stronger and faster here, helping to deliver what is essentially a pretty catchy track. Annie’s vocals and the backing vocals all shine perfectly. Precious follows this with it’s wonderfully thick plodding bass line. This track is far heavier than either of the previous two songs, and perhaps feels a little rockier. Annie’s vocals are rich here, and she has the space to give some higher notes too. Whilst not as memorable as the previous two songs, it did get released as the second single, but stalled at #23 in the UK chart. This is followed by Legend In My Living Room which opens with a brooding bass line and keys, before adding in a simple beat, and then Annie’s vocals for the first verse. The bass/keys become quite catchy during the chorus, helping this bit to sound fairly catchy whilst Annie and her backing vocals sing ‘Have mercy on me’. Fourth single Cold, is up next. This feels like a slow late night jazz club number – musically and lyrically sounding like something you could expect to hear on a George Michael album. Annie’s vocals are soft but rich here and it really shows her off perfectly. At times, its downbeat sound feels a little reminiscent of lead single Why, but I think that this is a stronger song. Despite that, and it’s great video, it stumbled at #26, becoming the lowest charting single from the album. Up next is Money Can’t Buy It which picks up the pace and gives us another fairly standard pop-rock number. It feels like it might be a missing Eurythmics track. Annie almost raps in the middle about her diamonds. This is a fairly unmemorable song, and I doubt I’d go looking for it if it vanished off the album. Fifth and final single Little Bird follows, and this song has a wonderful electro-pop feel to it – the beat and swirling synth helps the song grow wonderfully as Annie sings over the top. The beat builds as Annie’s vocals get stronger and she’s soon joined by guitars in the chorus. Deservedly so, this song gave her a #3 UK hit single alongside it’s non-album double-A side Love Song For A Vampire (from the 1992 film Dracula) companion. Primitive follows this, and gives us some wonderful sounding percussion alongside Annie’s rich, gentle ballad-styled vocals. This song feels like a bit of a filler. Stay By Me is similarly softer sounding, with plenty of ‘ooh’ and ‘aah’ vocal synth sounds sounding like something borrowed from Enya. This is joined by a fairly funky 90s beat, piano, and Annie’s scaling vocals, which also give some wonderful vocal harmonies around the 2m 30s mark. The result is a nice song that very slowly builds, but one that feels so wafting, like the previous song, that it struggles to stick in my brain. The LP version of the album closed with this, the penultimate track here on the CD – The Gift. It opens with some subdued drums and ‘do do do do do‘ vocals as a piano and some synths gently usher in the delicate soft vocals. There’s not a great deal to this track, other than a nice warming gentle sound. Final track here on the CD is a cover of the Eddie Cantor 1933 song Keep Young And Beautiful, taken from the film Roman Scandals (1933). Annie’s version is playful, oozing with a 1930’s cheeky but stiff-upper-lipped vocal style, and complete with crackly record style. This is a great little addition. Over all, there’s a bit of a mixture here, with Annie delivering some absolute belters of songs (Walking On Broken Glass, Little Bird, and Cold to name a few) but also there’s a few somewhat dull tracks too (namely Primitive and Precious). However, the flair of the other songs ensures that this album is mostly enjoyable. Annie found huge success with this album, bagging the Album Of The Year award and Best British Female Artist award at the 1993 BRIT Awards. Released simultaneously with the album, was Totally Diva – a video album. This went on to win a Grammy for Best Long Form Video in 1993. Her 1995 follow-up covers album Medusa enabled her to continue her solo career success. Her most recent album – her sixth – studio album Nostalgia, was released in 2014 and consisted of covers of 1930s and 1940s songs in a jazz style. It reached #9 on the UK album chart and gave her her most recent charting single – a cover of I Put A Spell On You although it didn’t fare as well – reaching #63. 1992 UK CHART POSITION: #1, certified 4x Platinum. Posted in 1990s, Annie LennoxTagged 1992, album, Cold, Diva, Eddie Cantor, Keep Young And Beautiful, Little Bird, Marius De Vries, Precious, review, solo, Stephen Lipson, Walking On Broken Glass, WhyBookmark the permalink.